I am so excited that tomorrow is July because that means it is almost time for the SDE and TpT Conferences! I can't wait! 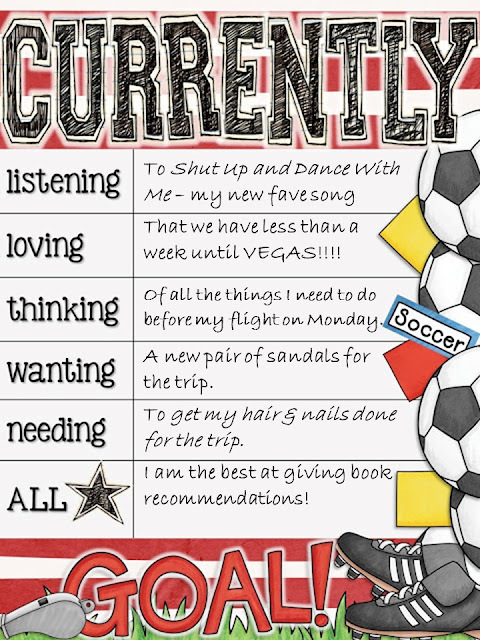 It is also time to link up with Farley from Oh' Boy 4th Grade for this month's Currently! You're probably seeing a reoccurring theme of Vegas there aren't you? If you are going to Vegas, I hope to meet you! If you can't go to Vegas, stay tuned to the blog, because I will be sharing my notes just like I did last year! Also, a group of my TpT/blogging friends and I have also joined together to share even more on our Facebook group. Simply join the group and follow along for our posts throughout the 9th and 10th! 1. My husband has worked our whole marriage, allowing me to stay home with our boys for most of it. I would love to return the favor! 2. We would love to move into a newer home. 3. My son, Powell has special needs - he was diagnosed with fragile x syndrome, cerebral palsy, selective mutism, and epilepsy when he was very young. I worry about what the future holds for him, especially when we pass away. I would love to have a plan for him to be taken care of. I am so excited to announce a blogging book study for The Reading Strategies Book by Jennifer Serravallo! 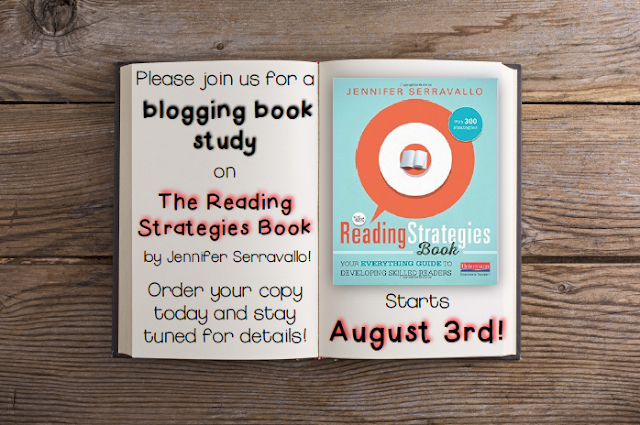 I am joining forces with 12 fabulous bloggers to discuss reading strategies from this amazing professional text, in hopes to help you get your school year off to a wonderful start. The book study will begin on Monday, August 3rd. 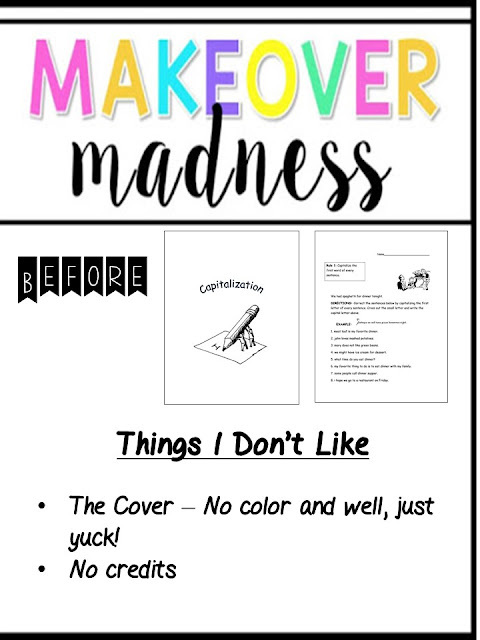 There are 13 goals in Serravallo's book. 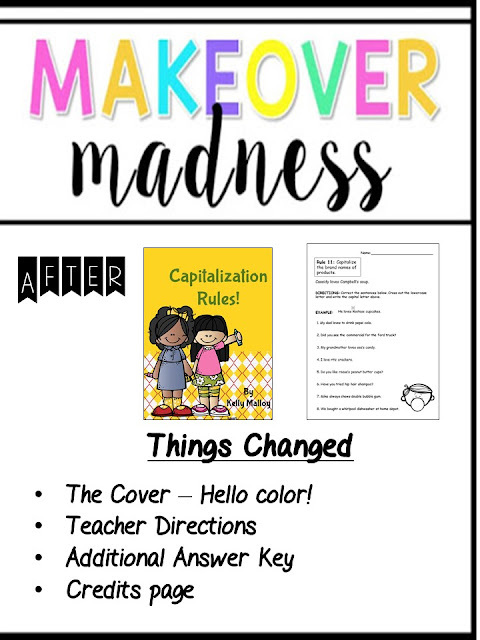 Twice per week until all of the goals have been covered, bloggers will be discussing highlights, sharing freebies and offering challenges to complete, based on the book's strategies. We hope you will purchase a copy and follow along with us! "Will this effect my grade?" " Can I (he/she) have extra credit?" 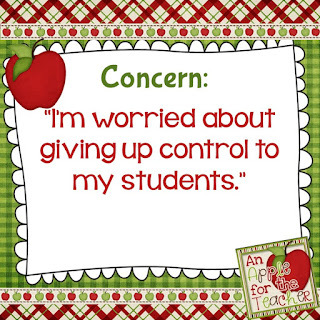 We hear questions like this all the time from both students and parents! Students are focused on the extrinsic motivation of grades, while well meaning parents often perpetuate this focus based on their own school experiences. 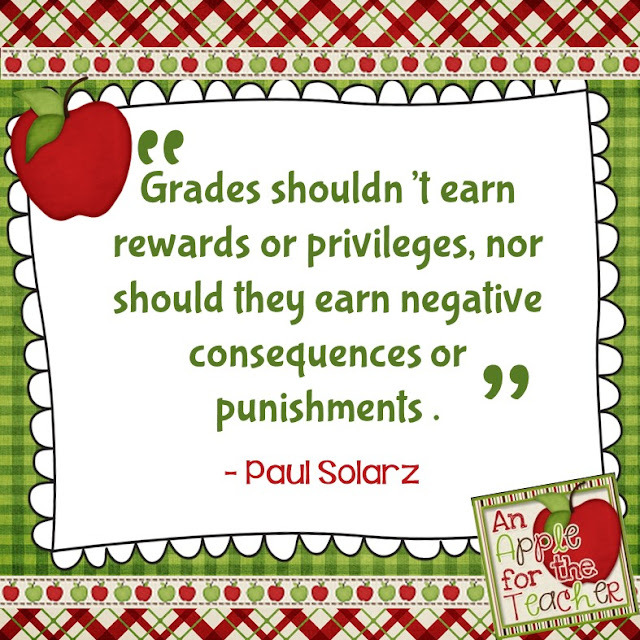 In chapter 4, Solarz discusses how this focus on grades is actually detrimental to students. He explains that when students focus on only grades, they often find ways to work the system, missing the educational value of the lesson. This spoke to me as a parent. One of my boys realized that when he moved schools (for a grade level change), they didn't have a record of his previous AR tests. He didn't read AT all the first semester, but managed to get an A in reading because he simply took tests he had already taken on books he had read in prior years. Did this help him become a better reader at all?? Another one of my sons is exceptionally smart and often scores in the top 95% on standardized tests, but he failed English last year because he doesn't care about grades and refused to do any work. Solarz also mentions those other smart kids who never go above and beyond because they have already earned an A. 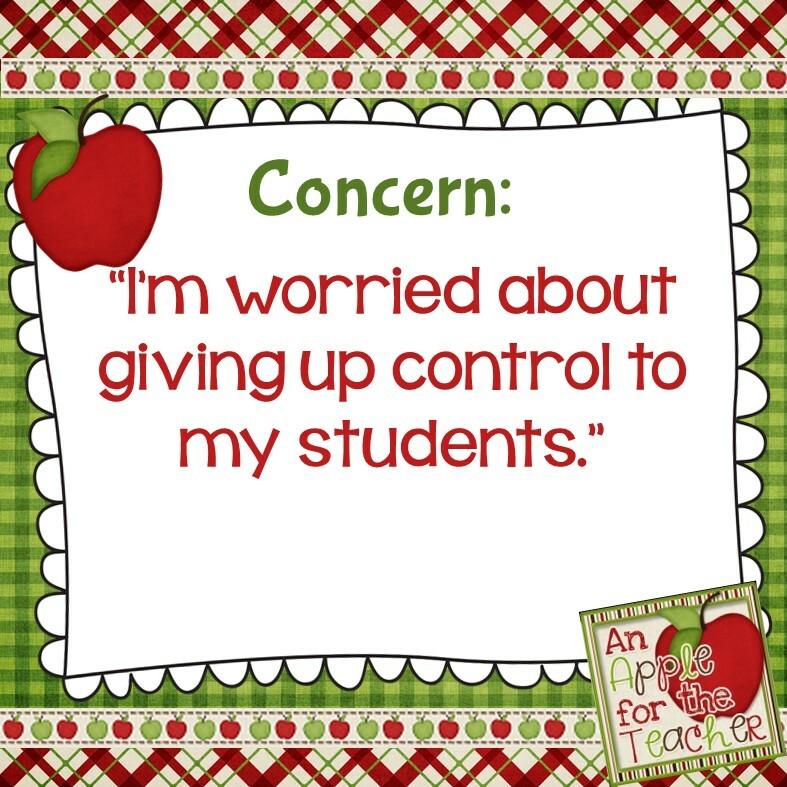 Don't we want ALL of our students to improve? In this chapter, Solarz tells us how to shift the focus from grades to improvement. In Paul's class, students don't take many tests or quizzes, and they don't receive grades on any of their work or projects. Instead, they receive regular feedback. He says they take the time they used to spend studying, taking tests, and going over tests, and instead devote that time to working and learning more. He is speaking my language! I do wonder though, how this translates to grades, because at my school, we still have to give them. One of the methods Paul uses in his classroom to provide feedback to his students is through e Portfolios. Students collect their work in ePortfolios. He says that everything is done on-line and published immediately. Using these ePortfolios, students can look at other students' work. 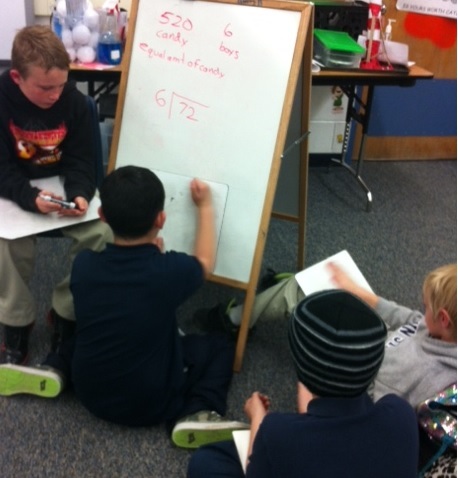 He calls this student collaboration as opposed to cheating. He wants his students to be able to learn from each other. He says that students can go back and revise pieces as they learn more with the hidden bonus that he doesn't have to provide worksheets for practicing basic skills, like capitalization and ending punctuation, when students can go back and correct their own work. 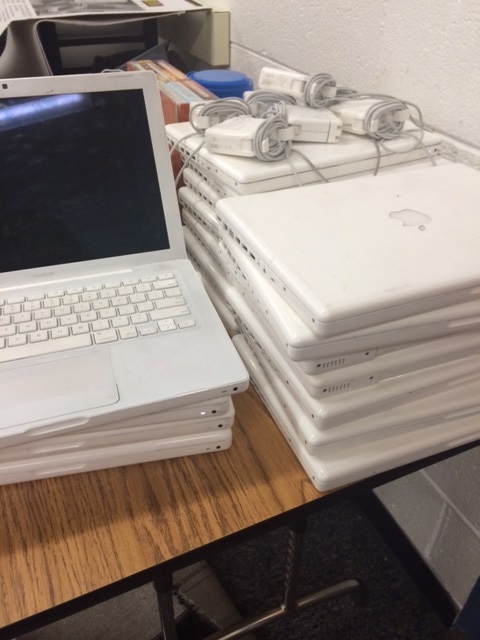 I just received an old class set of laptops from another teacher, but I am not sure how well they work, or what sites are blocked from school that I might want to use for ePortfolios, so that is something I will have to investigate before school starts again. I am also thinking of ways to do this without technology in case they don't work as well as I am hoping. You always need a plan B right? I am thinking about possibly binder portfolios that are accessible to everyone. 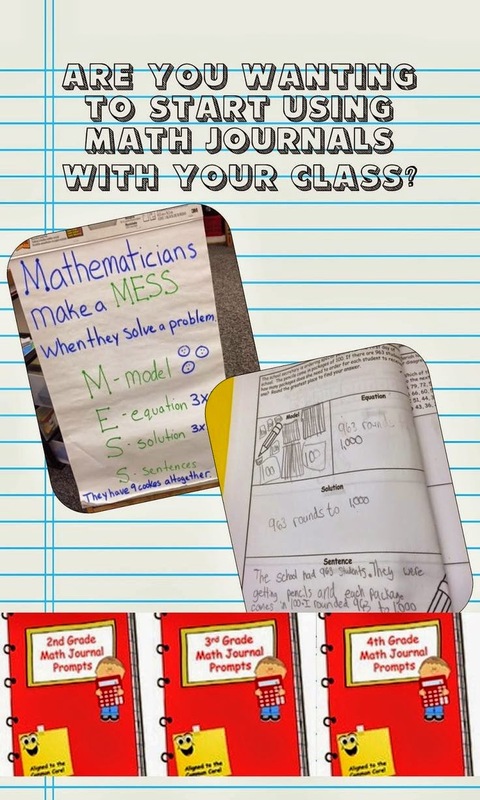 In Paul's class, students reflect on their own work. He describes this process using both assignment specific questions as well as a more generic reflection process. I think it is a great way to get a student to think more deeply when they reflect on what they have done. I will definitely be incorporating more of this next year. I also love how the reflection process he provides has multiple steps, because this is something my students really struggled with during common assessments last year. They wanted to skip steps. This will provide training and experience for them. 1. How can I encourage students to keep improving their assignments, even after a unit has been completed? 2. 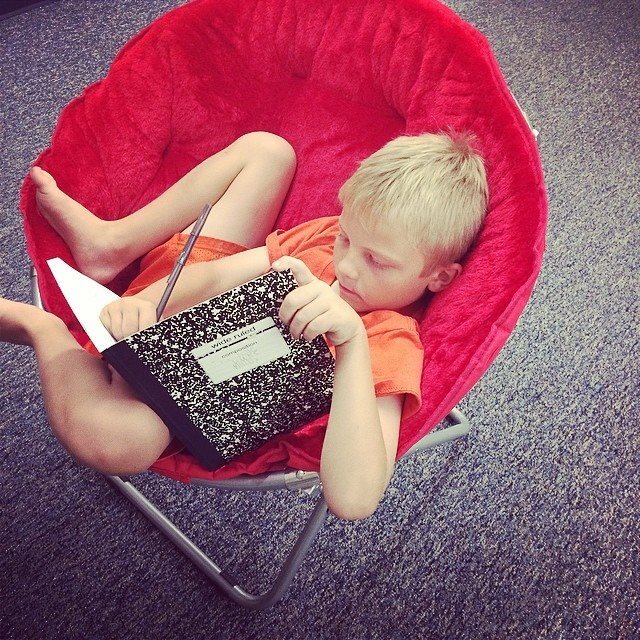 How will grades work in my classroom? 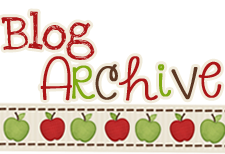 Make sure to check out what other bloggers have to say about this chapter over at The Primary Gal's blog! Chapter 1 - What is a Student-Led Classroom? Chapter 2 - Common Concerns About Student Led Classrooms. 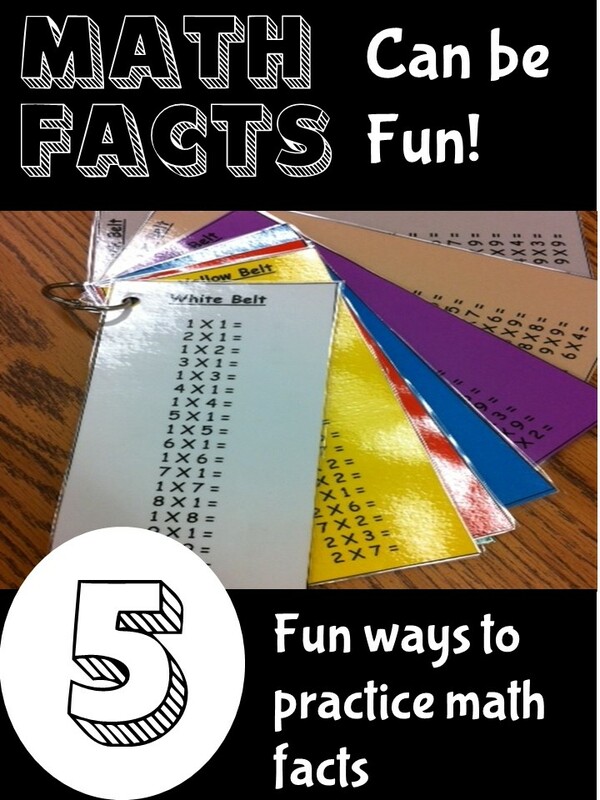 Today I am guest posting at One Stop Teacher Shopwith 5 Fun Ways to Practice Math Facts. Please stop by and visit! Chapter 1- What is a Student Led Classroom? 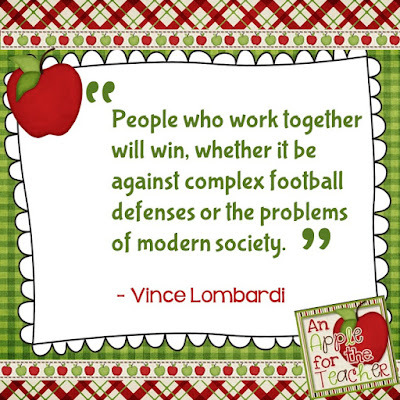 I may not be the world's biggest football fan, but I have to agree with Vince Lombardi on this one - teamwork is essential in today's world. What are we doing to prepare our students to be successful team members? 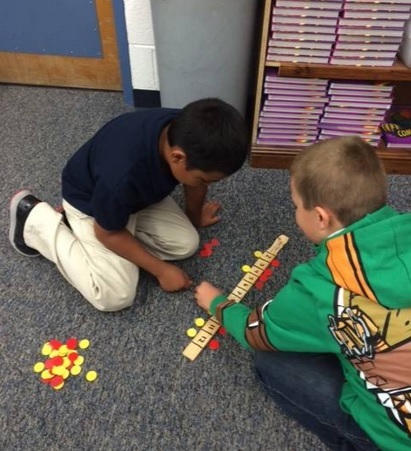 Am I doing enough in my classroom? This chapter is all about collaboration which Paul Solar says, "...is the cornerstone of a student-led classroom." 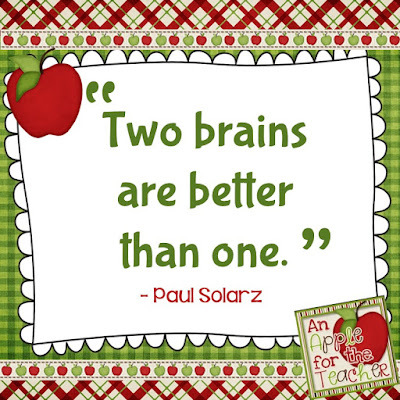 He says that he tells his students, "Two brains are better than one!" I LOVE that! Solarz emphasizes the need for the classroom to be a collaborative community. 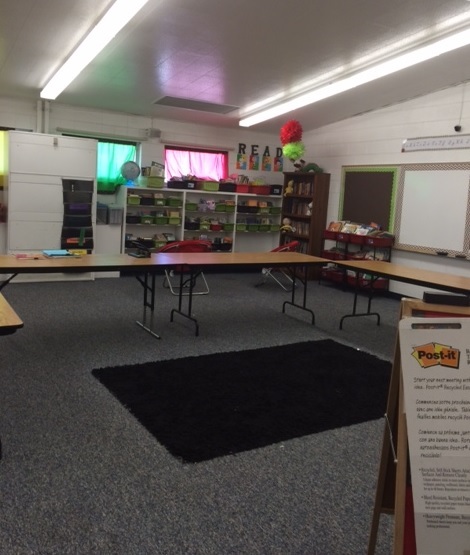 In his classroom he has chosen not to micro-manage, but instead discusses expectation together. 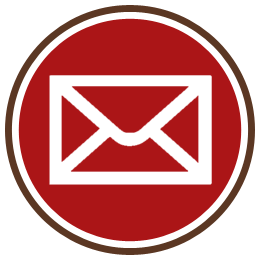 Everyone has a voice and is encouraged to share his or her thoughts. I know it will be a big learning curve for the students and myself as well, but this is definitely something I will be adding to my classroom this year. This will probably be the easiest thing for me to implement from this chapter since I already do it. I have 4 large rectangle tables in my class that the students use as desks, but they don't spend much time sitting there. They are allowed to spread out around the room wherever they are most comfortable. Most of the time this means they are on the floor, but I think they learn best when they are comfortable. I have used partnerships extensively in my classroom, but I LOVE some of the suggestions Paul gives for making them work even better! I always love when I find my teaching practices affirmed in a great book like this, and again I am finding ways to improve on what I am currently doing! I have a morning meeting already in place, but, I love some of the suggestions given in this chapter. 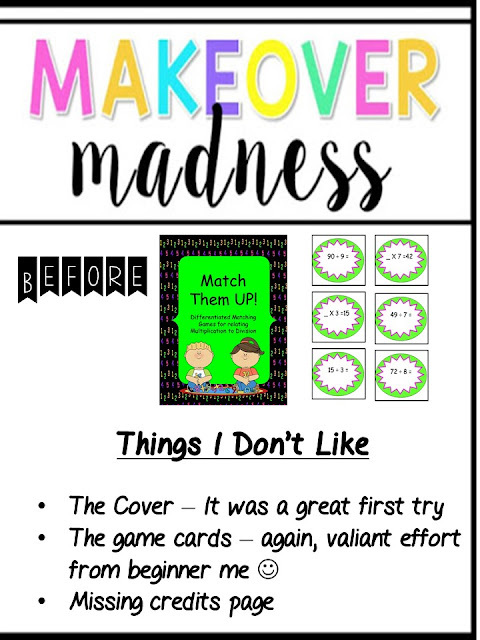 Paul has even given some suggestions of meeting topics that he has used within his classroom to give you a jumping point to start off on. My mind is spinning with great ideas! Again, another practice affirmed! 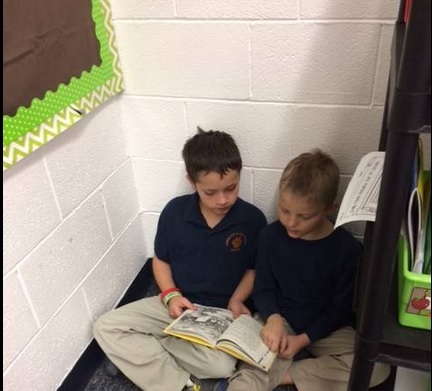 I love using shared reading to get my students to be more empathetic. Solarz recommends using the book Wonder by R.J. Palacio at the beginning of the year to build empathy in your classroom. Two years ago, I read this with my 4th graders, and now that I am looping with my current 3rd graders to 4th grade, I had planned to read it again. While competition in the classroom can be damaging, Paul focuses on internal competition with each student continually competing to do their best. He tries to have the students zero in on what it means to try one's hardest and how to bring peers along for the ride. So far, this has been my favorite chapter and I can't wait to keep reading! 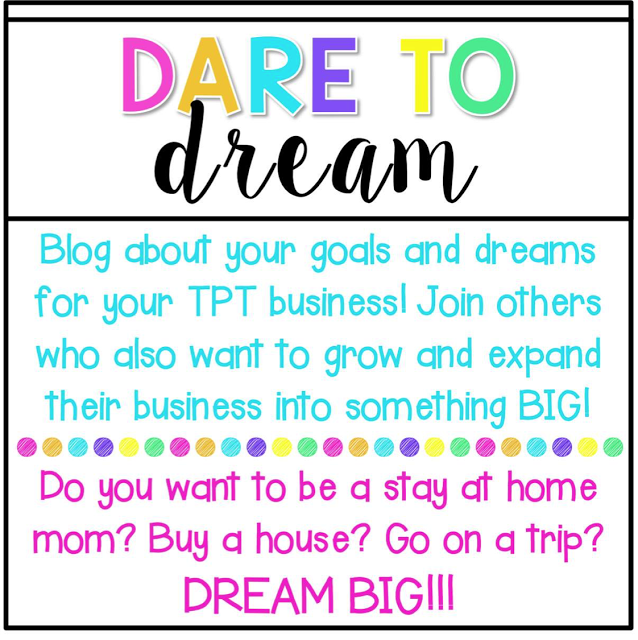 I am participating in the TpT Seller Challenge with oh just about 1,000 of my closest blogging friends. Seriously, the participation has been amazing! Anyway, our first challenge is to give one or more of our products some makeover love. I have been selling on TpT since 2007, so some of my first products are looking outdated and in need of some attention! You can find the new and improved version here, and it is on sale for the rest of the week! The next product is another oldie. You can find this new and improved Relating Multiplication to Division Game at my store for the bargain price of $1! What do you think of my changes? 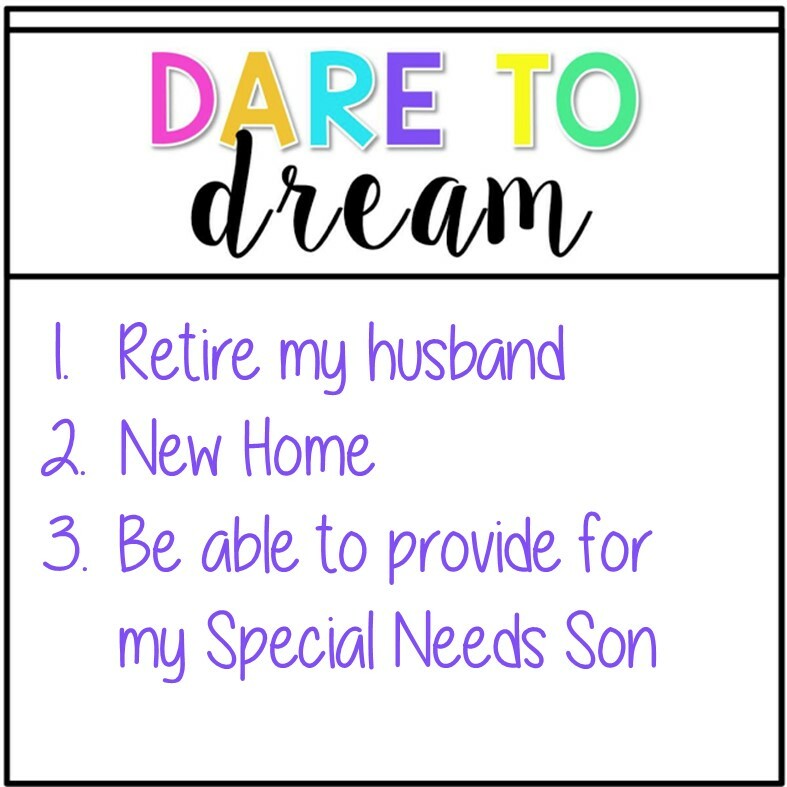 If you are also a seller participating in this challenge - please leave a link to your post in the comments so I can check yours out as well! One of my favorite things about summer is having extra time to peruse teaching blogs for new ideas. I always love finding new bloggers and most importantly great, new ideas. 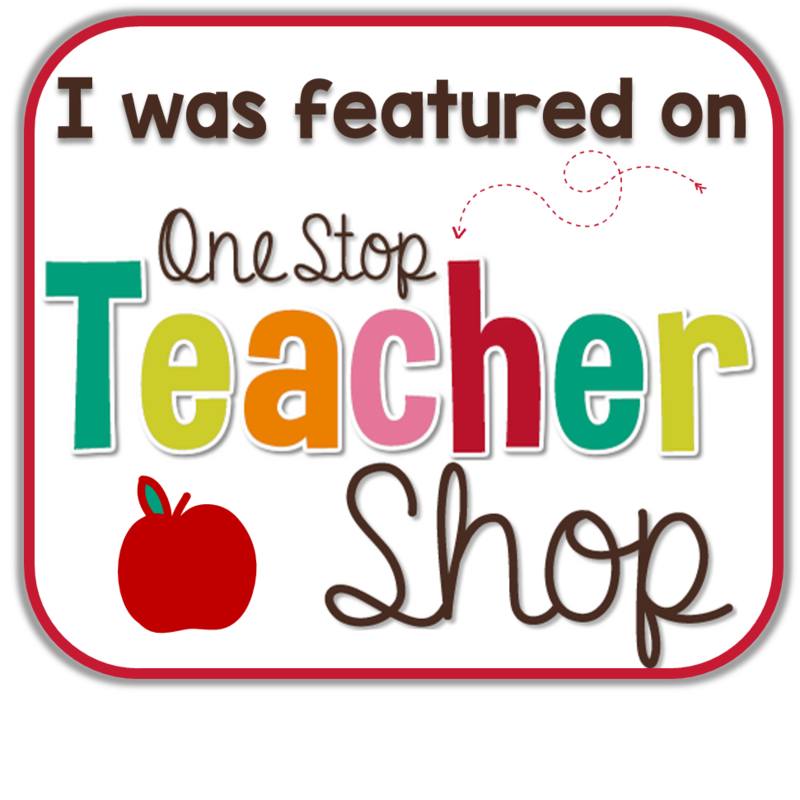 I am so excited to let you know about a new teaching blog "newspaper" called Elementary School Blogs which features new posts from bloggers everyday in one place! 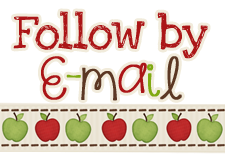 I have already found some great new blogs to follow, and I know you will too! Head on over to check it out! I am following along with The Primary Gal's book study of Learn Like a Pirate by Paul Solarz. As I said before in my thoughts on chapter 1 I do have some concerns about having a student-led classroom. Luckily, the author addresses these concerns (and others) in this second chapter. Solarz acknowledges that the decision to transition to a student-led classroom can be a challenging one, but he assures that switching methods has eliminated more challenges than it has created. He also believes that student-led classrooms result in greater engagement, and subsequently greater gains. Paul Solarz addresses the biggest concern right off the bat. He recognizes that it is hard to relinquish control, but he says that you are not really giving it up. Students know that ultimately the teacher's say is final, but the teacher chooses not to interfere with most of the students decisions because we want them to learn from their mistakes. It is important to encourage your students to be risk takers rather than followers. 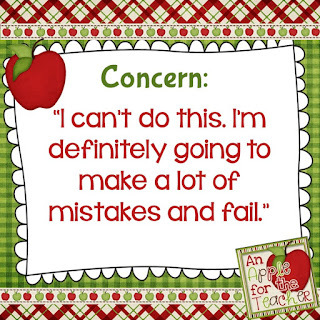 Just like our students learn from mistakes, so do we. Solarz says that mistakes are a healthy part of the learning process. 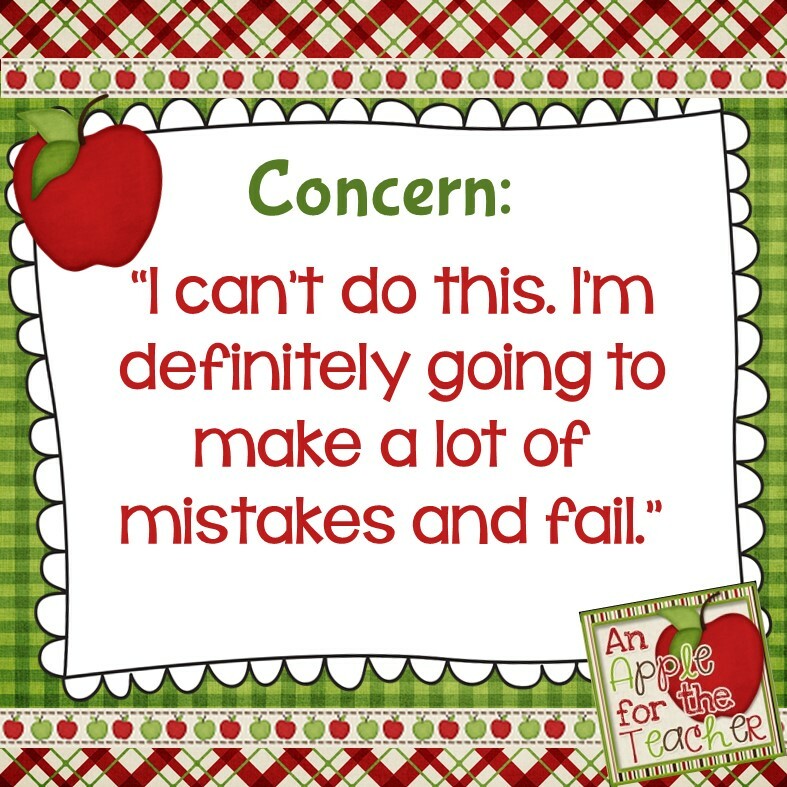 Our students need us to model a healthy reaction to making mistakes so that they learn to be comfortable with handling their own mistakes. 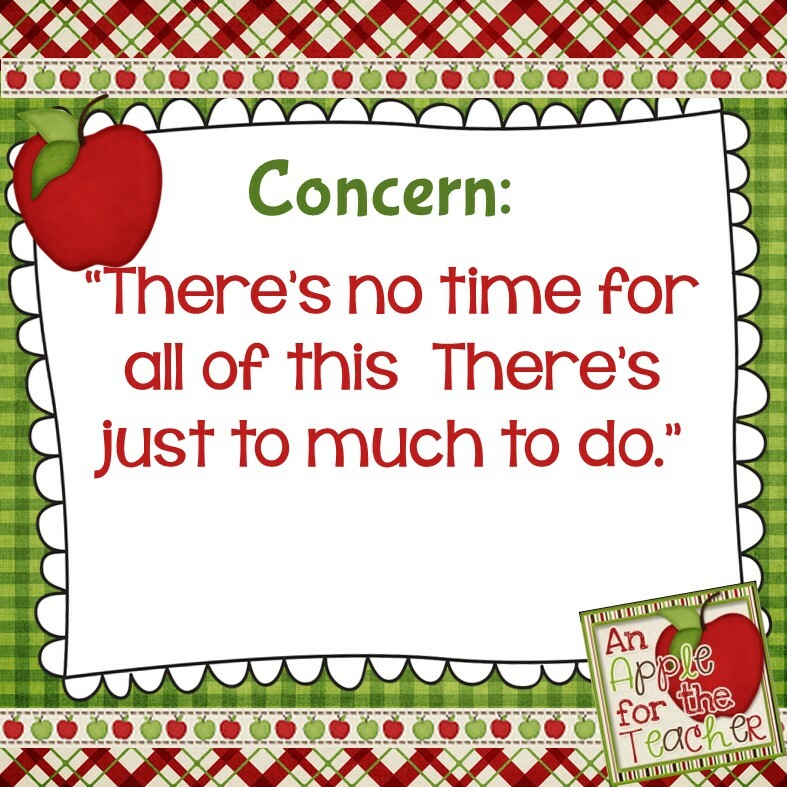 If you are anything like me, the one thing you can never have enough of in your classroom is time! It always seems like there are just not enough hours to get everything in! 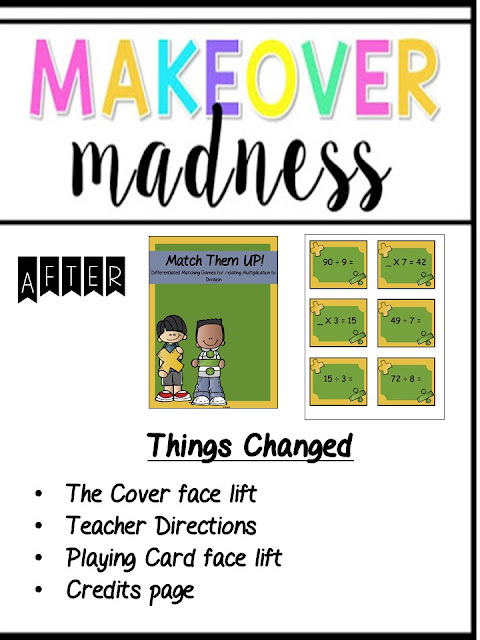 Will allowing my students to run the show waste even more time? Solarz says, no. it will actually save time by maximizing time-on-task, making transitions more efficient, and integrating subjects. Even with my concerns, I believe this to be true, so I am excited to keep learning and even to make mistakes as I try this out. 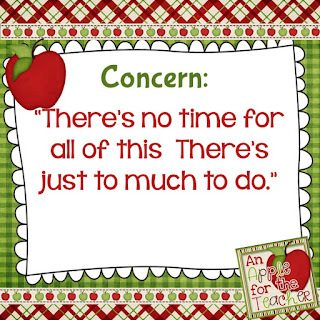 What concerns do you have? Are you as excited to try this as I am? Join us in this book study and chime in! Learn Like a Pirate - What Is a Student Led Classroom? I am linking up with The Primary Gal for this book study for Learn Like a Pirate by Paul Solarz. I absolutely love that the book opens with this quote! This new era of testing and testing and more testing has me thinking that we have gone way too far on the pendulum. Don't get me wrong, I do think students and teachers need some accountability, but I do think we also need to remember why we are teaching in the first place. Are we teaching students to be successful on one test or are we teaching them to mature academically, socially, and emotionally. 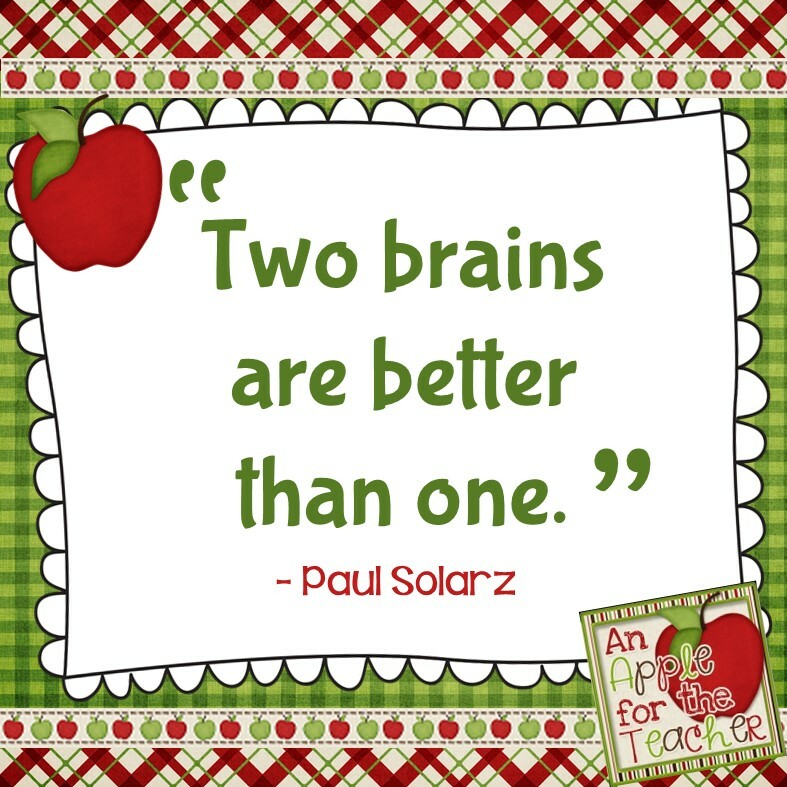 Paul Solarz says that is the latter. He believes that students need to become risk takers, to make creative decision, and to work well with others. Unfortunately, he says the current state of education tends to stifle rather than foster these traits. Learn Like a Pirate challenges teachers to veer from the current education models. It is the author's belief that with the proper motivation and appropriate amount of freedom, students will rise to the challenge and impress you. He says that even the youngest students will benefit from opportunities to run portions of their studies, take initiative, and develop leadership school. I have always been the type of teacher that is just a little different than the rest. 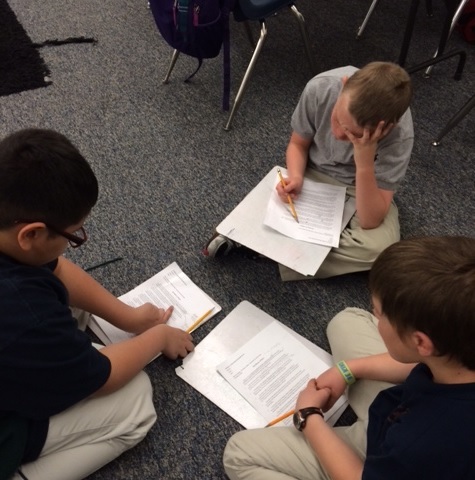 My classroom rarely looks like other classes where the students sit in rows quietly working on worksheets. 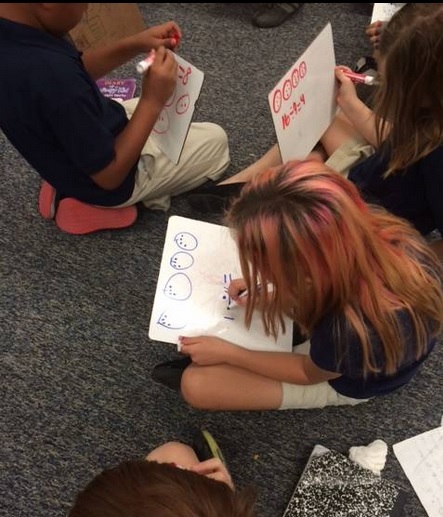 My students spread out all over the room, sometimes lying on the floor, sometimes on a stool, doing their work. And, they are rarely quiet. We talk a lot! I cringe every time someone walks in the room wondering what they must be thinking. Are they judging because it isn't silent, or do they get it? Even though my classroom runs a bit more student centered, I paused when I read this..
Students don't consult the teacher? What?!? I continued to read and think and was reassured when Solarz says that although "everyone in the classroom appears to have equal power and equal say in what happens, everyone understands that the teacher's word is final." The author isn't suggesting complete anarchy, he is just suggesting changing the methods of delivering instruction so that the students are in charge of their own learning. Isn't that what we want anyway, to create life long learners? He warns that it doesn't happen overnight and that it does take a commitment from both the teacher and the students, but that it will happen. You will have a student-led classroom in which the students are inspired and empowered to take charge of their learning experience. Well, I am definitely ready to keep reading and learn more about this new way of thinking. If you also interested in learning more about this student-led environment, grab the book, and join us during this book study! 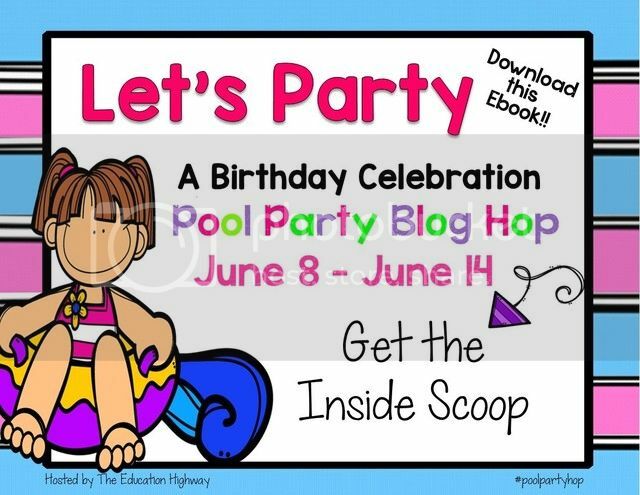 Celeste from Education Highway is celebrating her birthday with a splashing blog hop! 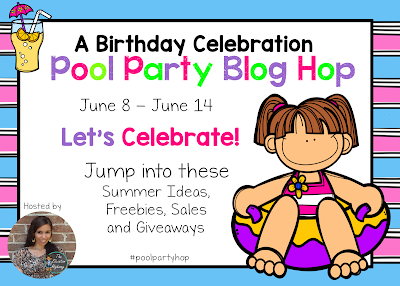 We are celebrating with a blog hop featuring summer ideas, freebies, sales, and giveaways! 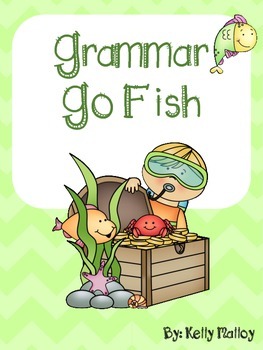 I have a fun little freebie for you that is only free during this hop! Head over now to grab this freebie from my store. 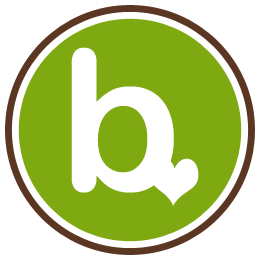 Be sure to hop along for other great tips and freebies!